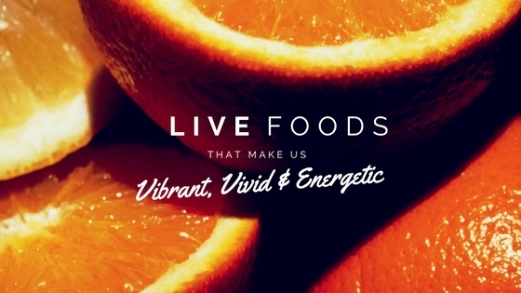 The term “live food” may refer to fresh fruits and vegetables, sprouted nuts and grains. Sometimes whole, unpasteurized, organic milk products are also accepted as live foods. To be truthful, live food literally breathes. Raw, vegan foods are packed with plentitude of oxygen in their cellular structure. This oxygen is derived through naturally occurring photosynthesis. Cooking of these healthy vegan food expels all oxygen content and our food is in an exhausted form. Dr. Edward Howell, author of "Enzyme Nutrition", reports that when a food is heated to 118 degrees for 1/2 hour all of its enzymes are destroyed. Oxygen within the live raw foods escalate the ability of the nutrients to be better absorbed, assimilated and utilised by our body. Research studies have concluded that the increased hemoglobin levels of anaemic patients increased to significant levels after consuming oxygen-rich foods. The naturally occurring nutrients, phytochemicals and pure, filtered water found in living foods make us vibrant, vivid and energetic and can never be sufficiently replaced by cooked and processed foods. Also they protect our body by providing immunity and by removing the toxins that had accumulated in course of time. Fresh fruits and vegetables are the main source of live foods to your diet. Kick off your day with simple breakfast of fresh fruit which is much more vitalising than a huge load of cereals, heavy oily bacons and eggs. A person who does not eat live foods is likely to suffer from lassitude, excessive weight, heartburn, bloating and intestinal distress. Most people after eating a cooked food meal feel their energy drop, even to the point of needing a nap whereas after eating a live food meal one will feel satisfied and energized. Be cautious! Some vegetables should always be cooked. As your digestive system gets adjusted, certain raw vegetables can become a part of your daily diet. Nutrition plays a vital role throughout a women’s life cycle for appropriate development. Adequate nutrition promotes proper growth of a woman from conception through infancy to adulthood. 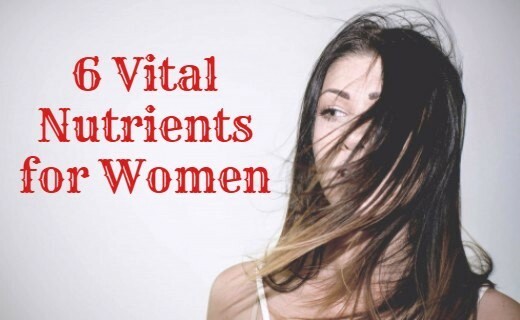 As women undergo complex changes over the years, their bodies need an array of nutrients. Eating a balanced diet may provide her all the essential nutrients but due to her hormonal changes certain nutrients may be needed at higher levels at different stages of her life. 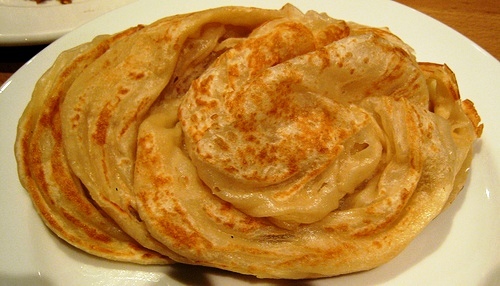 Complex carbohydrates are crucial in a healthy diet plan. They provide energy for your brain, muscles and every cell in your body. They also contribute fibre, vitamins, minerals and phytochemicals. Whole grains, fruits, vegetables and beans are excellent sources of carbohydrates. Carbohydrates in these foods promote steady digestion and absorption there by giving a feeling of satiety. Dietary fibre has multitude of benefits. It aids in weight management, reduces risk of heart disease, diabetes and some cancers. Soluble fibre is important for lowering cholesterol and may help keep blood sugar levels steady. Insoluble fibre can be fermented by gut bacteria, producing substances that appear to be great for gut health. Providing ‘food’ for gut bacteria can also help increase the number of healthy bacteria in the gut and thereby improving body’s immunity. Calcium is pivotal for healthy bones. By taking enough sources of calcium when young, can prevent the debilitating disease osteoporosis when you are old. Risk of this brittle bone disease becomes higher when your bones are deficient in calcium. Dairy products are highlighted as the best source of calcium but other sources include small boned fish (sardines, anchovies), green leafy vegetables, soya milk, tofu, nuts and oil seeds. Folic acid (Vitamin B9) is indispensable during pregnancy to prevent neural tube defects such as spina bifida in babies. Thus health experts recommends to take folic acid while planning for a baby and during pregnancy. Folate is also good for the immune system, energy production, preventing anaemia and may also help to protect against heart disease and stroke. Cereals, citrus fruits, lentils, some greens are prime source of folic acid. Iron is the principal nutrient needed throughout the life. Iron is essential for the synthesis of haemoglobin, which carries oxygen from lungs and supplies all over the body. The mineral is also part of many enzymes and is integral to the immune system. Women need more iron to make up for their menstrual loss. During mensus, 1 ml of iron is lost every day. Symptoms of iron deficiency anaemia include feeling weak, tired, breathless, unable to focus and more susceptible to infection. Good sources of iron include non-vegetarian foods like chicken, meat, egg yolk, greens, legumes, dried fruits and nuts. Omega three fatty acids are vital for the development of a baby’s brain, which makes them a key nutrient for pregnant women. Better intake of omega-3 during pregnancy may help to ensure the baby develops a healthy brain and nervous system and possibly reduce the risk of having a premature baby. Omega­3 fats reduces LDL cholesterol levels and makes heart healthy, curbs arthritis and depression. Oily fishes, walnuts, avocado, flax seeds are incredibly rich in omega­3 fatty acids. Mustard is one of the chief condiments in Indian kitchens. It’s also used as cooking oil, oil cake, and mustard greens are one of the commonly eaten vegetables. 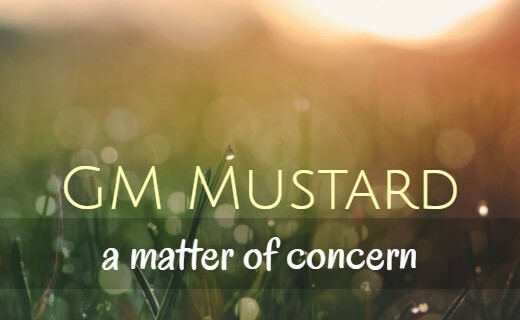 The consumption of GM mustard will have a devastating impact on our health if commercial cultivation of the GM crop in India gets the Central Government’s approval. Dhara Mustard Hybrid-11 is a genetically modified (GM) variety of mustard, cultivated by the Delhi University. Abbreviated as DMH-11, it involves the combination of genes taken from the tobacco plant and various bacteria. GM mustard was engineered to boost the production of mustard to meet the ever-growing demand for edible oil in the country. The plant is manipulated to be resistant to a highly-poisonous glufosinate, a broad-spectrum herbicide and to fight droughts, salinity and natural disasters, with low input. The manufacturing company claims that the gene modification will increase mustard productivity by 20-25 per cent and bring down the price of mustard oil in the country. The Genetic Engineering Approval Committee has deferred granting commercial approval to a genetically-modified mustard. As per ICAR, a new variety of seed is permitted for commercialization only if it is at least 10% more productive than an existing variety. If this is not satisﬁed in any stage of the trial, the seed is not considered again. As per this, the Coalition say that the GM mustard trials should have ended in 2006-07, as it did not pass this rule. These genetically modified organisms (GMOs) can spread through nature and interbreed with natural organisms, thereby contaminating non 'GE' environments and future generations in an unforeseeable and uncontrollable way. The polluting genes which contaminate biodiversity can’t be exterminated and weeded out from the ecosystem food products can also be contaminated directly genetically, or mixed with GM food. Already India has been gripping with various non communicable epidemics GM mustard might lead to congenital birth disorders, reproductive disorders, endocrine disruption, nervous disorder, Parkinson’s disease etc. Exploitation of farmers as GM seeds can’t be stored or re-used, and need to be purchased from the manufacturer every year and the infertility of GM seeds have also been major issues. Thus the high risk caused by herbicide resistant crops makes Indian farmers and NGOs to resist to GM crops. The concept of the Paleolithic Diet is to get back to ancient times. This dietary approach focuses on foods like meat, fish, plenty of fruit and vegetables as well as nuts and insists to forego all the processed foods, dairy products, cereal grains, legumes, starchy vegetables, and foods that are very high in salt content. The present-day paleo diet trend is believed to bring positive health for both individuals and society as a whole. People who go paleo currently are those who are sick, for whom modern drugs have failed and those who are seeking performance. Since paleo diet excludes processed foods that constitutes only empty calories, there is no doubt that this diet has a high nutrient density and sufficient amount of vitamins and minerals. These foods digest slowly, keeping blood sugar levels stable throughout the day. Stable blood sugar eliminates the energy and mood swings that can result from a diet high in processed carbs and refined sugar. Researches have pointed out that paleo diet resulted in notable weight loss over a short period of time. The weight loss is linked with the reduction of carbohydrates and the increase in protein. 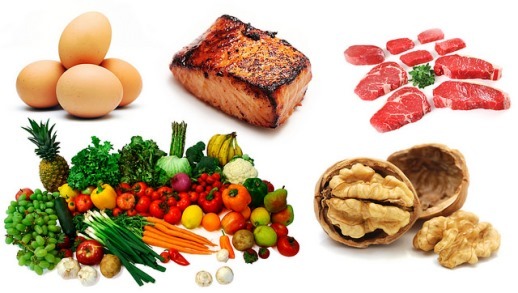 The Paleo diet depends profoundly on whole meats, vegetables and fruits which lessens the body's glycemic load, has a healthy ratio of saturated-to-unsaturated fatty acids, increases vitamin and nutrient consumption, and contains an optimal balance of protein, fat, and carbohydrates. It’s easy to adhere to. Doesn’t involve counting or measuring. The dispute that arise about the paleo diet is that paleo type of eating pattern was followed before 2.5 million years ago and our ancient hominids were hunters and gatherers those days. Our genome has changed since the Paleolithic period, meaning our bodies are not adapted to the diet of that time and there exist some key differences in our genomes from those of a Paleolithic hominid. Just as our genome has evolved since Paleolithic times, plant and animal genomes have also radically changed, largely due to human influence. So, when we eat according to the Paleo Diet, we follow only the modern-Paleo Diet, not the Paleo-Paleo Diet. Experts add that many people do not balance between meat and plant intake. Consuming excess protein and not enough carbs can cause kidney damage and also increase your risk of osteoporosis. Moreover, most of today's meats are higher in saturated fat than those of yesteryear, it can increase the risk of heart disease. Avoiding refined sugars and overly processed meats is good for health. But skipping out legumes, dairy, and multi-grain cereals, which are prohibited in the paleo diet for a prolonged time could lead to deficiencies of key nutrients including iodine, sodium, and calcium, as well as “significant reductions” in thiamine, riboflavin, vitamins A, C, and E, beta-carotene, folic acid and iron. Adopting our ancestral lifestyle can be challenging on an individual level, but the movement itself also faces obstacles culturally. Cereal play an important role in many traditional religions. For example, in Christianity, The Lord’s Prayer clearly says, “Give us this day our daily bread.” In Hinduism, rice holds great spiritual and ritual significance. Emphasis on Physical Activity: Increased physical activity is an integral part of the Paleolithic Plan as calories from meat are to be burnt. Surviving in the Stone Age meant a constant on-the-go lifestyle that probably required very high calories a day. Paleo dieters often find it difficult to dine out or grab meals on the go. Fast food is often out of the question, as are most nonperishable options, excluding nuts. Paleo is expensive too. All these views are not intended to emphasize any kind of particular diet. Be it a Paleo diet, Akins diet, Nordic diet, must be suggested by an expert. Dietary approaches should be individualized based on ones metabolic profile. If you really want to be Paleo for a long time, then instill some modern technologies into it. Free radical theory of aging suggests that free radicals formed endogenously as by-products of normal metabolic process are the reason behind aging. Thus chronic free radical activity contributes to decline in the function of cells leading to aging process. Vegetables, fruits, spices are well known to be important sources of antioxidant vitamins, and minerals, along with carotenoids, polyphenols, and other phytochemicals. Adipose tissue once thought as an energy storage organ plays a crucial part in longevity and development of age-related diseases Excess or dysfunctional fat tissue stimulates the incidence of degenerative diseases while interventions that delay or limit fat tissue are associated with boosting the longevity. Include higher percent of unsaturated fats than saturated fats. A sufficient intake of polyunsaturated fatty acids (omega­3 and omega­6 fatty acids) is importantas they play a critical role. Omega­3 fatty acids can be found in fatty fish, such as salmon, tuna, anchovies, and sardines, and nuts.Food sources of omega­6 fatty acids include vegetable oils, such as soybean, safflower, and corn oil, nuts and seeds. Advanced glycation end products (AGEs) are a group of irreversible compounds formed during a nonenzymatic browning reaction between reducing sugars and free amino groups of proteins, lipids, or nucleic acids. AGEs are formed exogenously from foods processed at high temperatures, as well as from tobacco smoking. Whether on the grill, in a skillet, or in the oven, browning or charring foods is an indication that AGEs are present. Cooking foods in high temperature , dry heat methods also enhances AGEs formation. Calorie restriction especially consuming plant foods improves longevity. Even though we consume the most nutritious food, the digestive process causes some degree of oxidative stress on the body. Simple foods are easier to digest than complex foods. The simplest foods are plant-based. The higher you eat up the food chain the more difficult it is for the body to digest. Above all, healthy lifestyle like refraining from smoking and drinking, exercising regularly, inhaling fresh air, exposure to sunshine, drinking pure water, positive thinking and learning to tackle stress also improves your longevity. Faulty food habits and inadequate physical activity are one of the risk factors for noncommunicable diseases. Noncommunicable diseases (NCDs) are not passed from one person to person and once a person develop this, they progress slowly, can be treated and complications can be delayed, but cannot be cured. Overconsumption of calories, and an imbalance between calories consumed and expended leads to obesity, overweight and finally diabetes. There is an alarming increase in the consumption of sugar sweetened beverages in the last few decades and an escalating anxiety is expressed by health experts. Higher consumption of sugar-sweetened beverages – increases overall energy intake and may cut down the intake of foods that are nutritionally adequate in calories, leading to an unhealthy diet, weight gain and increased risk of NCDs. Research studies suggest an association between reduction of free sugars intake and reduced body weight. Increased intake of free sugars was associated with a comparable increase in body weight. The word “sugars” includes intrinsic sugars, which are naturally present in fruit and vegetables and milk and free sugars, are purposely added to foods and beverages to enhance taste. Since fruits and veggies contains phytochemicals and milk has microbiomes, they do not produce any adverse effect. For the average adult, consuming a 2000 calorie per day, diet reducing their sugar intake to 5% would mean that not more than 100 calories per day should come from free sugars. Since sugar provide 4 calories of energy per gram this can be converted to approximately 25 grams of sugar, which is about 5teaspoons. One 350 ml of sweetened carbonated beverage provides roughly 150 calories of sugar, which is equal to 37.5 gms of sugar which is roughly 8 teaspoons. Saturated and trans fat have been regarded as villain in our food but have we ever thought of the menace created by free sugar? It has been suggested in ‘Journal Lancet 2016’ that reduction in free sugars added to sugar-sweetened beverages without the use of artificial sweeteners is necessary to reduce the prevalence of overweight, obesity, and type 2 diabetes. The plan should be implemented immediately, and could be used in combination with other approaches, such as taxation policies, to produce a more powerful effect. Substitute sweetened drinks with sparkling plain water. When you add sugar to your hot drinks, reduce to the extent you can. You will get used to it in course of time. While buying products in stores, read the labels, compare with labels and choose the one that contains less sugar. Sugar is addictive and hazardous to health. So shift your focus on cutting down free sugars. Be mindful!